Trucking Watchdog Explains: What does USDOT actually do? 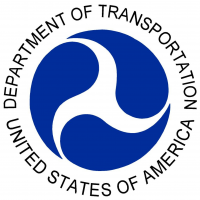 The Trucking Watchdog Explains: What does the USDOT do? The U.S. Department of Transportation (U.S. DOT, or DOT) is the federal government agency in charge of transportation planning, funding, and safety. What does the Department of Transportation do? Big national projects—like building or maintaining interstate highways—don’t start with state and local governments. They start with the USDOT creating the plan, and managing the process. Set the standards for design, construction, and safety. The federal government sets the base safety standards for new bridges, for example. Those standards ensure that the bridges on I-5 in Washington have to meet the same safe design standards as the bridges along I-5 in Oregon. Distribute funding for transportation projects. Congress sets a federal budget for transportation projects. Then, it’s up to the USDOT to figure out how to prioritize and distribute that money to state and local governments. The USDOT is at the top of the hierarchy of government agencies that manage roads, highways, airports, and seaports—incidently, all of the transportation infrastructure across the United States. There are 11 DOT agencies, including the Federal Aviation Administration (FAA), and the Federal Railroad Administration (FRA). Federal Motor Carrier Safety Administration (FMCSA). Who is in charge of USDOT? 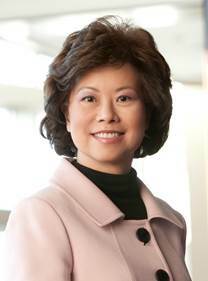 Elaine Chao was sworn in as Secretary of Transportation on January 31, 2017. The Secretary of Transportation oversees those 11 government agencies, including the FMCSA, FWHA, and NHTSA. Learn more about the Department of Transportation at usdot.gov.